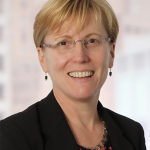 SAN FRANCISCO--(BUSINESS WIRE)--Wells Fargo & Company (NYSE: WFC) today announced that it has named Sarah Dahlgren as its head of regulatory relations. Dahlgren was most recently a partner in the Risk Practice at McKinsey & Company. Dahlgren will report to Mike Loughlin, Wells Fargo’s chief risk officer until his successor is named. Loughlin announced his retirement January 17. She will join the company March 12, and will be based in New York City. In her new role, Dahlgren will be responsible for oversight of regulatory relations for Wells Fargo’s Corporate Risk organization. She will ensure an organized and cohesive approach to working with the supervisory staffs of the company’s federal regulators and will work with colleagues to coordinate efforts with regulators in other jurisdictions. Dahlgren will be instrumental in leading the company’s efforts to have a sustained, proactive dialogue around risk, controls and compliance and will work across Wells Fargo to ensure the company meets the regulatory commitments it makes. Dahlgren joined McKinsey in 2016. 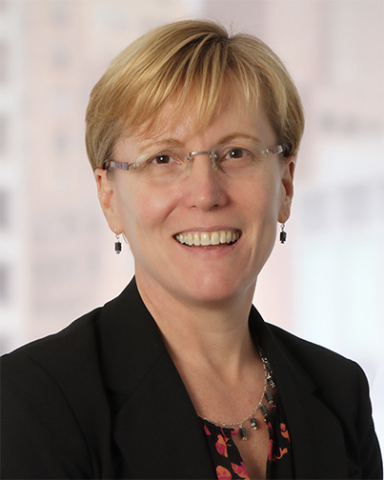 Before joining McKinsey, Dahlgren had a 25-year career at the Federal Reserve Bank of New York (FRBNY), where she started as an examiner and rose to become executive vice president and head of financial-institution supervision. In that position, she was responsible for overseeing many of the largest banks operating in the United States and developing new supervisory policies and procedures. Additionally, Dahlgren is a board member of the Duke University Sanford School of Public Policy. Wells Fargo & Company (NYSE: WFC) is a diversified, community-based financial services company with $2 trillion in assets. Wells Fargo’s vision is to satisfy our customers’ financial needs and help them succeed financially. Founded in 1852 and headquartered in San Francisco, Wells Fargo provides banking, investments, mortgage, and consumer and commercial finance through more than 8,300 locations, 13,000 ATMs, the internet (wellsfargo.com) and mobile banking, and has offices in 42 countries and territories to support customers who conduct business in the global economy. With approximately 263,000 team members, Wells Fargo serves one in three households in the United States. Wells Fargo & Company was ranked No. 25 on Fortune’s 2017 rankings of America’s largest corporations. News, insights and perspectives from Wells Fargo are also available at Wells Fargo Stories.